We had a blast last February for our first TMC Legacy Dance Club's Friends and Family Cruise that we're doing it again! 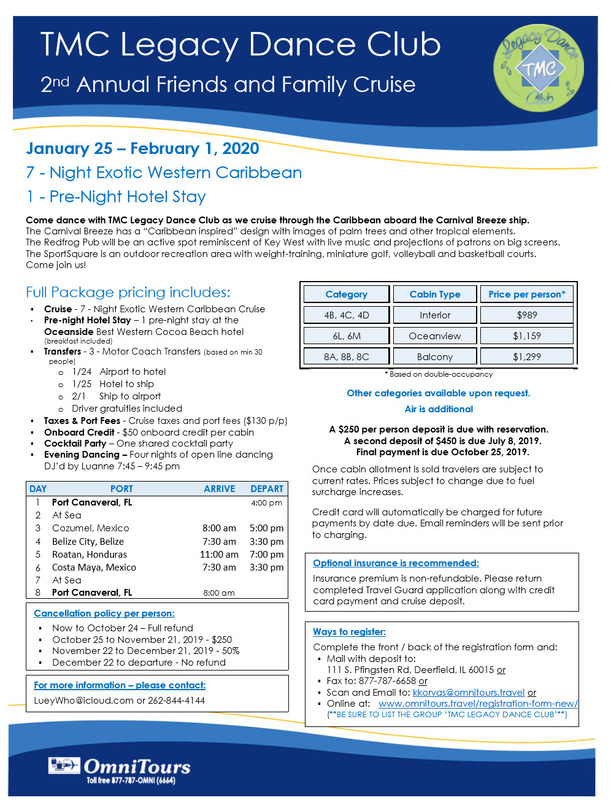 Dance Club's Friends & Family Cruise - January 24 - February 1, 2020. Seven-day cruise from Port Canaveral, FL to Cozumel, Belize, Roatan, and Costa Maya.